Before we dive into my favourite 55 songs of the year, let’s see how I got there. Does my favourite mean favourite right now? Does it mean a song’s ability to be playable in any social or private situation? Or does it mean a song that I still want to listen to after the initial buzz has died down? The last question in the context of music in 2015 is the most important. When I think of music in 2015 I will think of “surprise” drops first. The second thing that comes to mind is how fast new songs and albums get processed. We get bored of songs after a week, and we get bored of albums in less than two. We are like music addicts, we need a hit of something new every week and honestly listening to music as if it’s fast food is tiring. Keeping up with all the new releases feels like a chore rather than something to do for fun. I hope you take the time to let each song sink in and really listen to it rather than go through it just to get to the next song. The next 55 songs are one’s I keep going back to in 2015, no matter if they were released yesterday or in February. In the year of fast music, I’m interested in what has stayed with me. I hope some of these songs stay with you as well. I first heard this song in the end credits of a Omega Ruby Wedlocke by Marriland. Sadly, because of the comments during the series Marriland is no longer doing challenges for the core Pokémon games. At least he goes out with one hell of a ride out song. Your series’ will be missed Marriland. Luckily for us fans you left us with one last gift in this song. 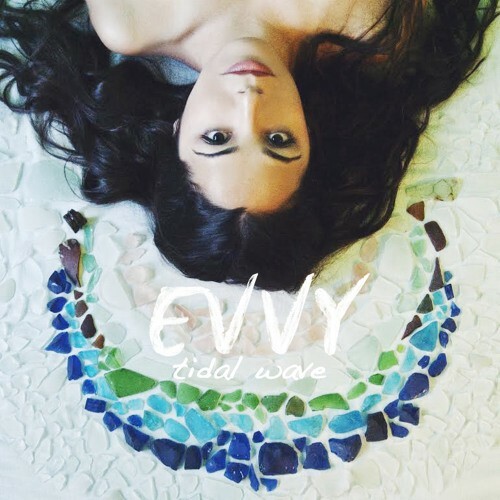 It’s been a year since EVVY released her self titled debut EP. Her only song this year hit us mid-summer and it’s bounciness has carried us out of summer and can be counted on to save us from winter. Can’t wait for what’s next from EVVY. The best news about this song? This is only the first in Dominique’s new looping series aka enjoy her early Christmas gift for us. Rounding out this list of fantastic ladies from New York is the girl who describes her genre as future soul. Despite the darker lyrics in the song the beat will keep us bouncing through it all. A deadly combination indeed. Milly Rock may have come out in 2014 but it didn’t blow up until 2015. Salute to Take A Daytrip to continuing the move. Anna’s songs require you to embrace them without feeling overwhelming. She isn’t a force of nature, rather an open invitation. I suggest you take it. After you’re done this list I suggest you check out all the songs from Nehzuil and Milan. You will not regret it. These two seem to have perfect musical chemistry and more important, you can tell they’re having fun. Remember kids, Breakfast is the most important meal of the day. You better not skip it. Kehlani appears on this list later however this is the only time her voice is paired up with production from ESTA. Here’s hoping they collab in the near future. In the mean time make sure you don’t let this song get away. Make sure your bass is right when you crank this 2 minute rush up. I know Speed Racer didn’t make it onto GO:OD AM but it makes this list. In fact after running through the album continue it with this jam. If “Cry Me A River” had a sequel, this would be it. Yes, it’s that good. Considering there are more solo artists than bands or groups nowadays, The Neighbourhood might be my favourite band. They have yet to release an album I dislike. They keep finding ways to tinker with their sound without completely changing all at once. They’re the Darwin of current music and from the sounds of “R.I.P. 2 My Youth” they’re ready to continue to change. Speaking of bands…I don’t think I’ve listened to a One Direction song from start to finish. On a related note this cover currently has close to 50 plays on my iPod. And yes I prefer the version where it’s just Zayn. Play this song in your car with the windows down, play it at midnight at a party, play it when you want to have a one person dance party in your room. There are few exceptions to this song failing to make anyone who hears it happy. Hopefully we will have Kill Bill Vol. 3 soon. Until then we have KOTA keeping that whistle in our heads as well as his perfect hooks and introspective verses. You’ll soon discover he is quite the storyteller himself. For those who are too young to remember Aaliyah, here are one of the many examples of why people care about her so much. Fun fact, this was made in 2014 but since there were so many Aaliyah remixes they held off until now. Thank you TOKiMONSTA. This brother and sister have four songs. They’re all good. Go listen to them after this one. If you’re new here, for the record, it’s pronounced “Lakes,” as in Lakes Rivers. After listening to this song you won’t pronounce his name wrong again. Much better than Austin Rivers. “Electric Feel” came out in 2007. I haven’t had it on my iPod since 2010. I shouldn’t be downloading a cover of it in 2015. I am and you should too. Have something to say? Have a song that would be included on your list of favourite songs from the past year? Feel free to leave a comment. Like what you see? Throw us a heart and a follow.